Gedy's Oleandro bathroom accessories set is a bathroom accessory set that is great for a contemporary style bathroom. Imported from and manufactured in Italy by Gedy, this free standing accessories set is a high-quality solution for your decorator master bathroom. 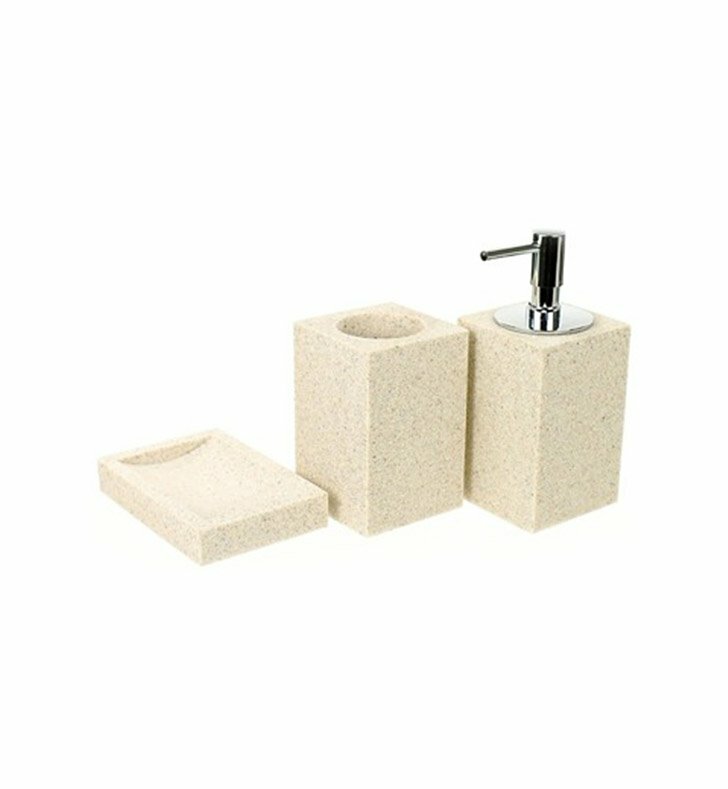 Match all your other natural sand bathroom fixtures with this decorative natural sand bathroom accessories set, made in quality thermoplastic resins and sandstone.